food or to counteract its richness, eg. apple sauce with roast pork. on an underdish or small plate, carried on the palm of the left hand. In serving, the sauceboat, lip should point towards the guest’s plate. sequence of courses should be respected even if some are omitted. compilation of menus can be achieved. covers whatever items are served before the soup. known as ors d’oeuvres chaud. Lasagne Napolitaine and Macaroni au gratin. sauces, can be successfully served as entrées. garnished and presented for service by the sauce cook (saucier). sauce and served with it. sugar, and water, and also containing milk, egg white, or gelatin. Some examples are Sorbet Italian and Sorbet creme de menthe. Braised duck and Roast quail. Baked potato and Grilled tomatoes. are Apple pie, Chocolate souffle and Cassata ice-cream. pickled fruit. They are seved hot on toast or as savoury soufflé. savoury course, and may be served before or after the sweet course. It is usually served with butter, crackers and occasionally celery. Gouda, Camembert and Cheddar are some examples of cheese. Dessert is a course that typically comes at the end of a meal. include cakes, cookies, fruits, pastries and candies. 1) Cold and warm dishes are listed separately. 4) Salads should be highlighted. the number of calories should be stated. fact should be highlighted to the discriminating customer. appetizing way, without being too flowery. menu or special insert to attract attention to them. especially with many of the new computerized cash registers. however, orders the actual foods with words, not numbers. the service staff along with the regular a la carte menu. on the outside, working in towards the plate as the courses progress. the type of food they wanted to eat. the courses as well as being palatable, delicious and well presented. lighter, and act as an appetite stimulant for the courses to follow. possible, be different for each course. are differentiated by the manner in which they are served and priced. A menu may be a la carte or table d'hôte. depending on the time of day or the event. and beverage manager and the food and beverage controller. menu may be plain or artistic in its presentation. b. To keep the tablecloth firmly in place. rattling of crockery and cutlery. d. To absorb moisture in case liquid spills on the table. damask are used. Of these, damask is the best. be avoided, as they affect the flavour of the food. linen for one person to partake of a meal). used is always from outside to inside. knives should face to the left. tip of the large knife. napkins are arranged in empty water tumblers. the centre of the table. hotel's monogram should be visible to the guest. sure that linen patterns and china patterns don't clash. removed just before the main course. placed in the center of the dinner plate. all silverware an inch from the table's edge. 5) Knives: Set knives on the table to the right of the dinner plate. formally, salads are generally served at the end of the meal. are set on the saucer when it's time for dessert. wine glass, champagne flute (if ordered). used for a formal dinner. a large restaurant, each station may be headed by a Chef-de-rang. be kept handy so that they are readily available for use. · Cruet sets should be cleaned and filled on a daily basis. should be kept ready for use when needed. · Carpets are well brushed or hovered. · All tables and chairs are serviceable. · Table lights or wall lights have functioning bulbs. 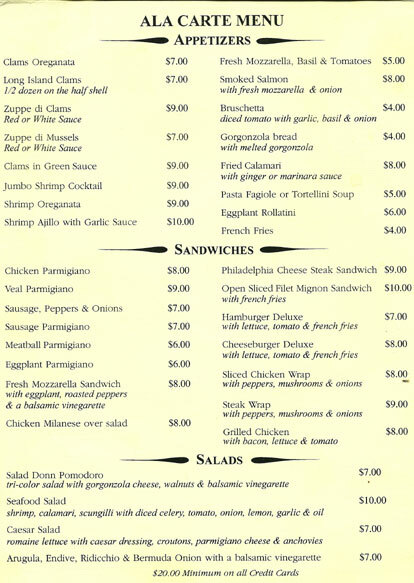 · Menu cards are presentable and attractive. · Tent carts or other sales material are presentable. heating to a comfortable temperature. · Exchange dirty linen for fresh linen. 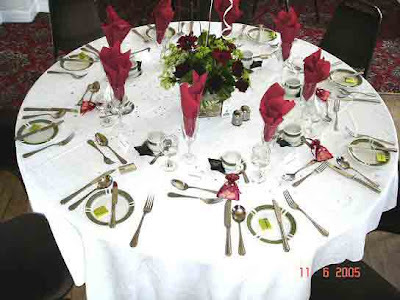 · Table cloths and mats are laid on the tables. · Replace wilted flowers with fresh flowers. saying - Do visit again, sir / madam. them the time of the day. attention is paid to the elderly. iv) Remove extra covers, if any. repeat the final order to avoid possible errors. waiter, when something is needed. interest in the guest's needs. x) Ensure that service is fast, efficient and pleasant. xi) Before serving dessert, clear and crumb the table. i) The tables and linen are clean. ii) Tablecloths are evenly spread on the table. iii) Chairs are dusted and properly arranged. iv) The table set up is appropriate and pleasing. spotlessly clean and befitting the occasion. and placed on the table suitably. vii) The floor / carpet is clean and dry. readiness before the service session commences. 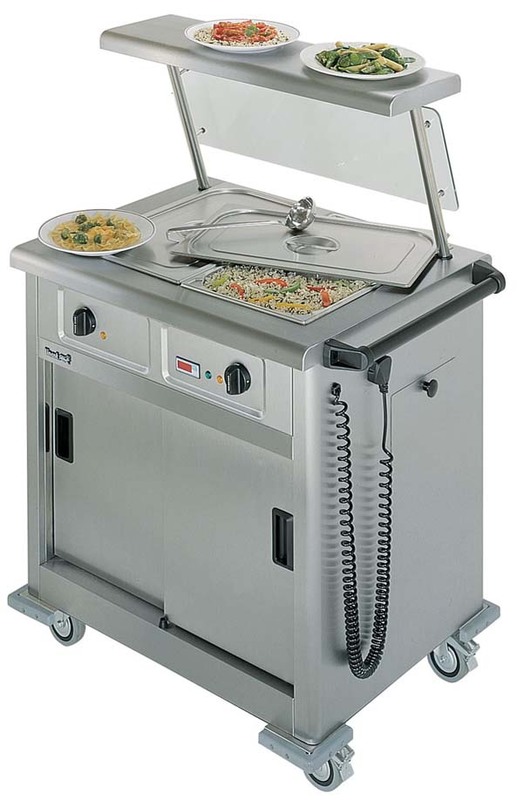 · Condiments tray is cleaned and refilled. necessary for the session are stacked up. · Coffee pots ready with freshly brewed coffee / tea. · Sugar cubes, butter and butter plates ready. place or atmosphere within the food service area. controlling of temperature, lighting and equipment. total inventory is stocked up in the spare linen room. efficient service that he expects. gas-fired burners or by an electric immersion heater. is legible and that none of the dishes ordered are ‘off’ the menu. automated and therefore labour saving. shelves, with all the service plates of one size stacked together. combined and in some cases, are a part of wash-up. can also be termed as ‘back-of-house’.